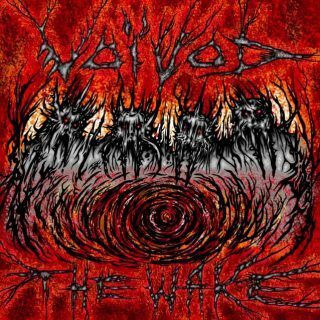 Voivod : The Wake album download | Has it Leaked? Celebrating their 35th anniversary this year, Canadian progressive sci-fi metal innovators VOIVOD will release their new studio album, "The Wake", on September 21 for via Century Media Records. 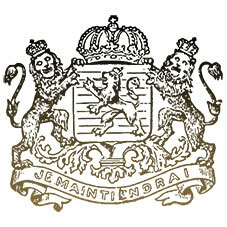 The highly anticipated follow-up to 2013's "Target Earth" album as well as the 2016 mini-album "Post Society" was recorded and mixed by Francis Perron at RadicArt Recording Studio in Canada. The album's artwork was once again created by VOIVOD drummer Michel "Away" Langevin and can be seen below. VOIVOD guitarist Daniel "Chewy" Mongrain checked in with the following comment: "It is with great enthusiasm and pride that we will soon share with you the fruit of two years of labor in the form of an intricate, intense and colorful journey with our new album 'The Wake', expanding the boundaries of VOIVOD's multiverse!". The first single off "The Wake" is expected for release on July 20. VOIVOD recently played "Obsolete Beings" for the Musik Universe web site. Check out video footage of the performance below. Langevin told the Impact metal channel that the band's next record would be "a concept album, very intricate. It's very progressive thrash. Lots of psychedelia as well. The songs are pretty long. There is only one short rocker; all the rest is progressive music. It's a continuation of [2016's] 'Post Society' [EP]." VOIVOD's first European touring run in support of "The Wake" will feature the following rotating support acts: MAGGOT HEART (September 7-16), NIGHTRAGE (September 18-26) and BIO-CANCER (September 28 - October 20). Original VOIVOD bassist Jean-Yves Thériault (a.k.a. Blacky) left the band in 2014 and was replaced by Dominic "Rocky" Laroche.